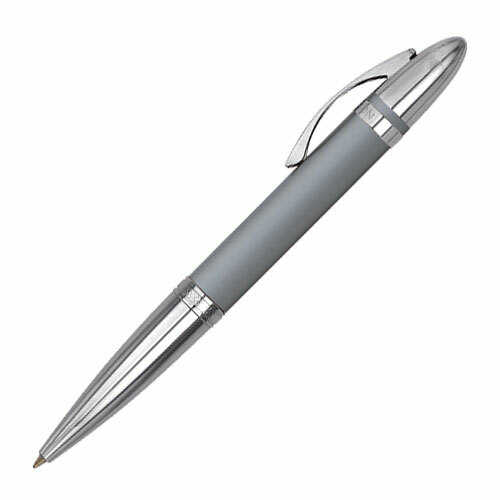 Director is a Brass twist action ball point pen with jumbo brass fine point tip cartridge, black ink. See-through box packaging. Available in Satin Silver, Burgundy. Packaging: Silver Satin Metal Box #28.